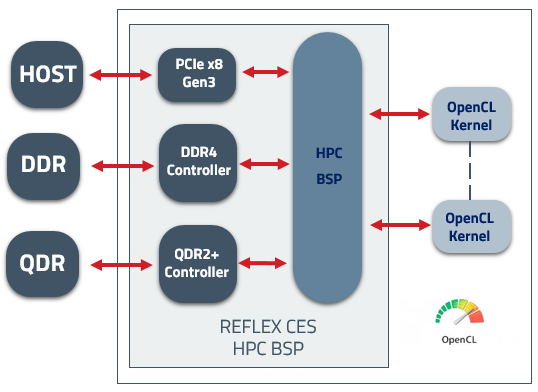 REFLEX CES OpenCL™ Board Support Package (BSP) enables developers to code parallel C-code accelerator kernels and target FPGAs. 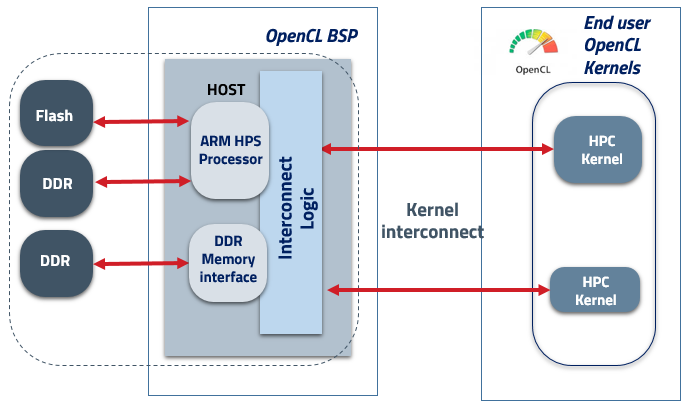 The High Performance Computing (HPC) OpenCL™ BSP implements Global Memory and PCIe interface support for OpenCL™-coded kernels targeting Arria 10 FPGA Accelerator Boards from REFLEX CES. This BSP offers 4 x 10GbE Low Latency MAC IPs as well as the complete HPC BSP features (PCIe + Global Memory). 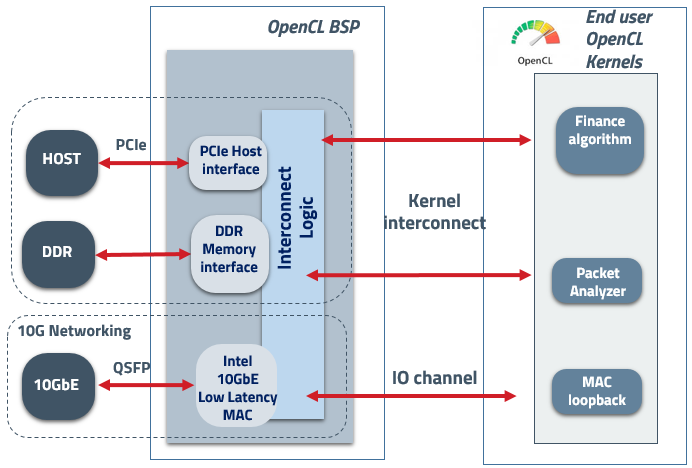 OpenCL™ developers can directly connect their acceleration kernels to the MAC through IO Channels. This BSP implements the host processor inside the SoC FPGA (HPS ARM processor). This concept allows an autonomous embedded system to consider OpenCL™ flow even if no x86 processor is available.